I used to cross Paris to buy a loaf of bread. That was when I was more of a débutant and kept a list of bakeries that I wanted to visit, and I’d make it a point to check off as many as I could, to try their bread. 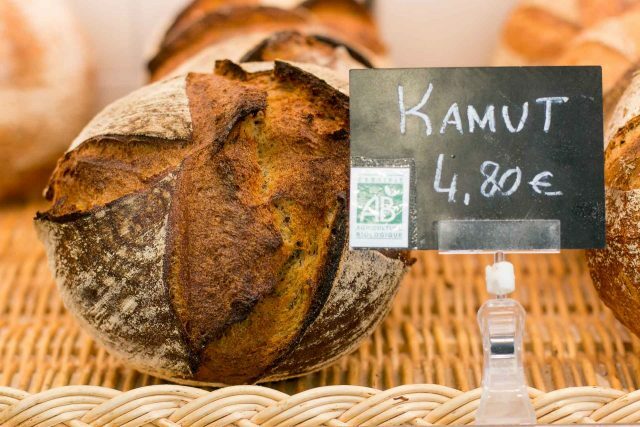 But few in Paris go farther than their local boulangerie to get their bread. Since it’s something you do almost daily, one goes to a place that’s convenient. An added bonus is that like most places in France, when the staff gets to know you, they will bend over backwards to help you. So you ask them for the darkest baked loaf of pain au levain, you’ll get it. Or they’ll rifle through the basket to pick out your baguette for you, baked just as you like it. 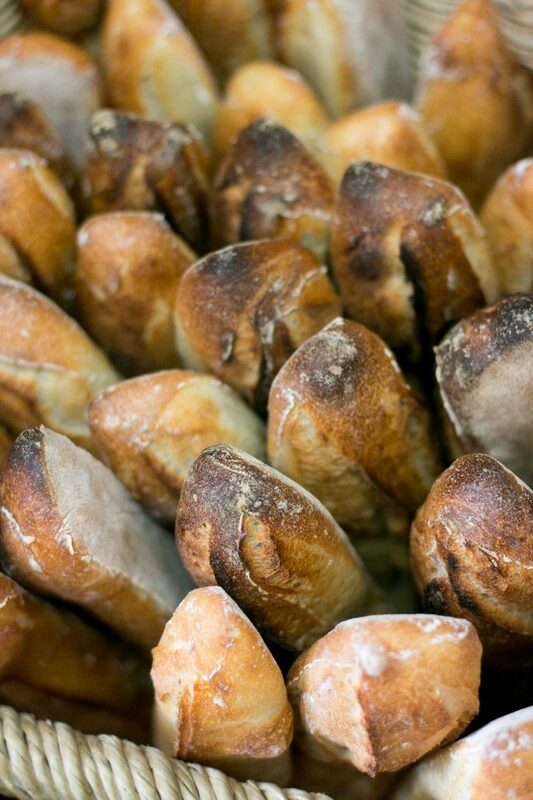 I’ve been part of extended conversations with clerks who will show me the different baguettes, cooked to various degrees, while I give them the oui or non – until they Goldilock’s-like pluck out just the right one. No matter how many people are waiting behind me, they accept it, because when it’s their turn, they’ll do it too. You don’t need to do that at Panifica because all the breads are bien cuit (well-cooked) and the owner and head baker, François Brault, told me he doesn’t do any breads that are pas trop cuit (not well-cooked), because he doesn’t like them, and that was a sign of bad bread. I have to agree. And so do plenty of others, you’ll notice, when you walk into his bakery and see the line of people waiting to buy his marvelous breads. Most seem to live in the area, but this is one of the bakeries in Paris that’s worth crossing town for if you don’t. I’d been meaning to go for a while, trading messages with François while I navigated the waters of l’administration, begging off a visit while tackling the mountains of paperwork that have a tendency to pile up if I don’t feed/fend it off daily. And there’s a whole bunch of other stuff that’s always standing in the way of my mission here (namely, to eat chocolate, bread, and cheese), so I finally took a breather from everything, shut my front door behind me, and did the martyr’s walk to up Montmartre, to meet him at the bakery. It was a fantastic sunny day in Paris and I was jealous of all the people eating at tables outside, overlooking the shady avenue. But they were probably jealous of me because François took me down to their kitchen where to show me where they bake the bread. 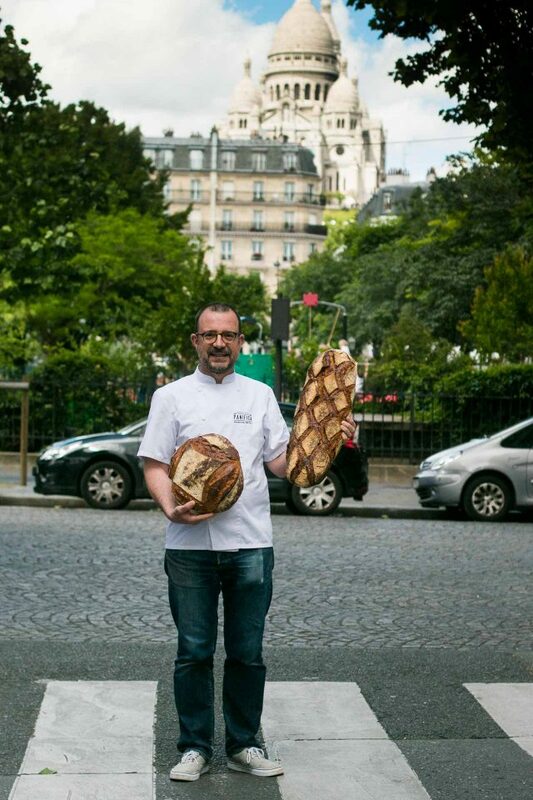 He and his crew were done for the day (they start at 4am, which is a little too early for me…) but I got to feel the doughs, see the ovens, and talk about French flour and all the grains that he uses, some of which you don’t normally see in Parisian bakeries. 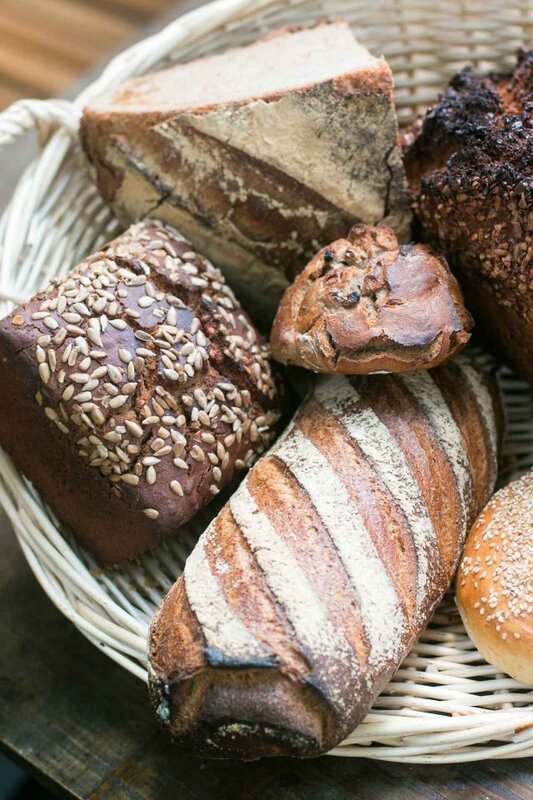 All the flours and grains used in the bakery are organic. 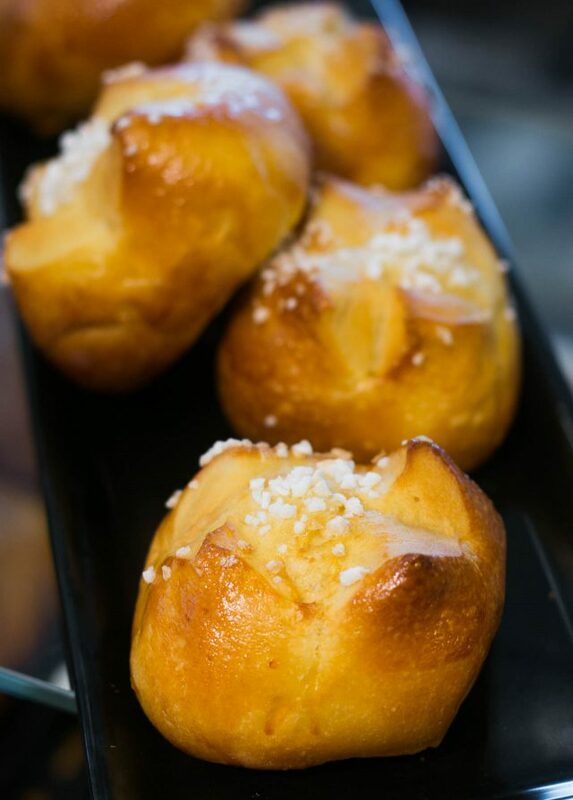 But since taste is most important, the bakery uses a very high-quality traditional French butter for their croissants and other pastries, which is because he couldn’t find an organic butter that tasted as good as the one he uses. Most bakeries in France make very little on baguettes (I’m told the profit is about 30¢ each), so he decided to just sell them for €1 each and just let everyone have a “deal” on them. Even though (like Gus), François worked in the financial world before, he decided to switch gears and roll bread dough, rather than manage the other kind of dough. Which I’d say he’s doing pretty well at. 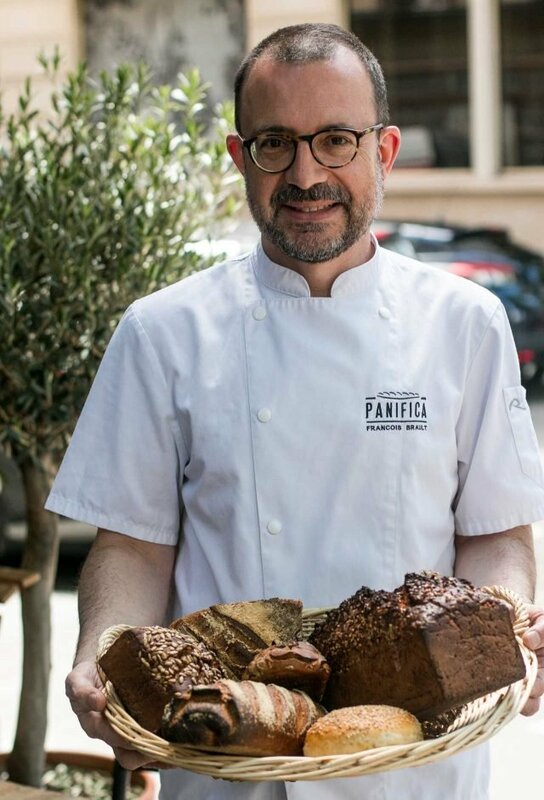 But the focus at Panifica, and what I was there for, was the generous selections of earthy breads lined up behind the counter and in baskets. Tourte de meule is made with a high percentage of whole-wheat flour, and smaller loaves, meules au lin, have flaxseeds kneaded in, whose oil gives them loaves a softer crust. I generally prefer crusty breads but was curious and took one home and served it with tarama that night, and it was a big hit. Tourte aux Alouettes (above) has whole-wheat and rye flour, as well as crunchy whole grains riddled throughout. I took a stub of that home as well, which was breakfast the next day, excellent toasted and slathered with salted butter and dark honey. 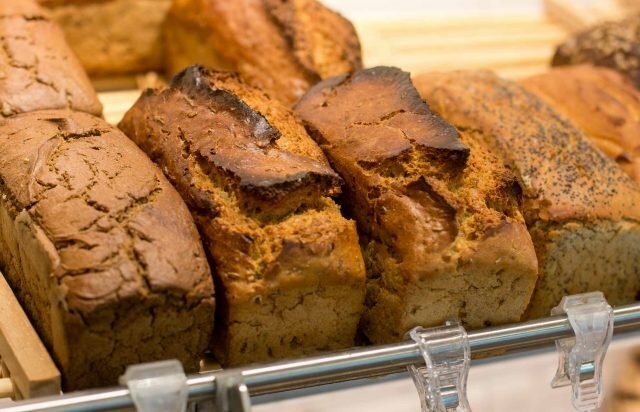 Many people are interested in low- or no-gluten breads, or breads made with alternative grains, and the François offers up a few different types. 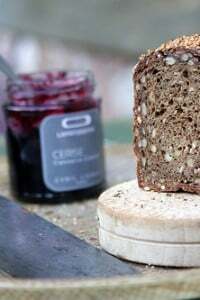 Petit épeautre bread is make with einkorn and some of the grains are toasted, to enhance their natural sweetness. 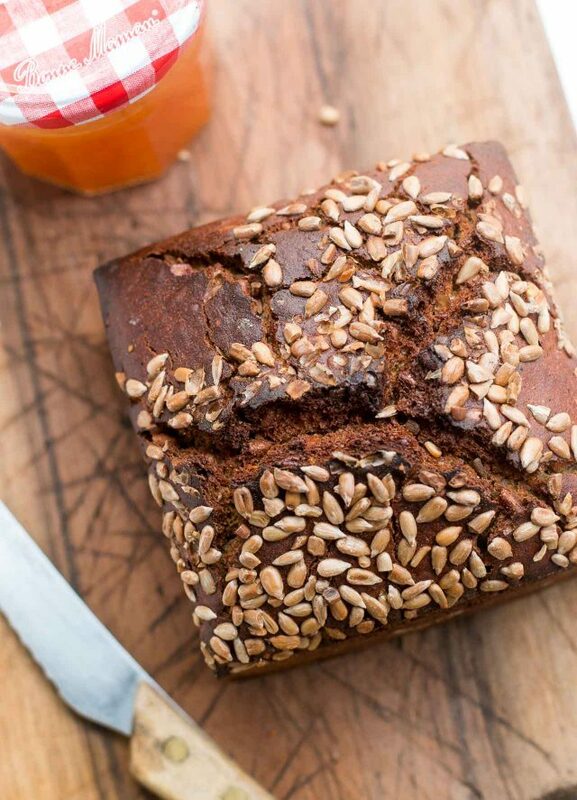 Being France, of course buckwheat is represented in Sarrazin (the loaf on the left), made of 100% buckwheat and using a buckwheat levain (natural yeast) which is gluten-free. François told me that was a very popular bread in the neighborhood, nodding his head in affirmation. But the beauty of the breads also extends to the outside of the bakery, where I can’t imagine a better place to eat on a nice day. (Weather permitting.) The bakery has a super-fancy Swedish bread slicer that allows them to cut the breads extra thin, to make triple-layer sandwiches. Some are filled with smoked salmon, other with roasted vegetables. 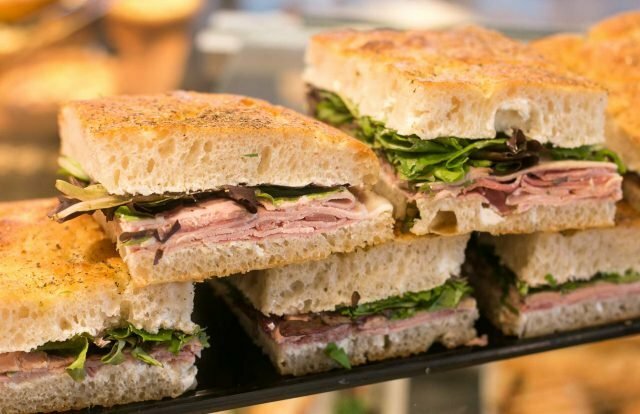 Focaccia sandwiches are on offer, as are quiches. For dessert, although I didn’t try any, because my bag was loaded up with bread (because who knows when I’ll ever be able to leave the house again…now that I’m on a book deadline), I spotted roasted fruit salads, a creamy panna cotta with rhubarb, le cheesecake, silky chocolate tartlets, and a few Kouign Amanns left after the lunchtime rush, ready to go. Ohhh… I’ve always wanted to go to Paris, and your stories make it sound even more appealing! Here in the Netherlands the bakeries wouldn’t accept you to take time to find the perfect loaf I’m afraid – they pick them out for you and that’s that. I’m fascinated, now I want to visit Paris even more. Book a trip immediately. You will not regret it. That bread selection is making my mouth water. The dark breads look absolutely amazing. I would happily try them all out. What a lovely looking bakery! The Norwegian loaf looks perfect. Can’t wait to check it out. Thanks for sharing!! I am there. If only some could be here. 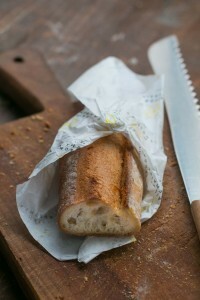 (Florida) Nothing like French Bread. (new York Bread isn’t bad either). Thanks! Just added to my list. My Paris trip in October is one big food adventure. Doing the same for a month in September. Want to share research with each other? A few weeks ago I asked for a description of breads other than baguettes, since I’d like to venture into new territory. So — un grand merci! Extra thanks since this bakery is in my neighborhood. One question: are the bread shapes traditional (i.e. will I find similar loaves in other bakeries in the same shapes?) or are they a matter of the baker’s choice? Merci bien! 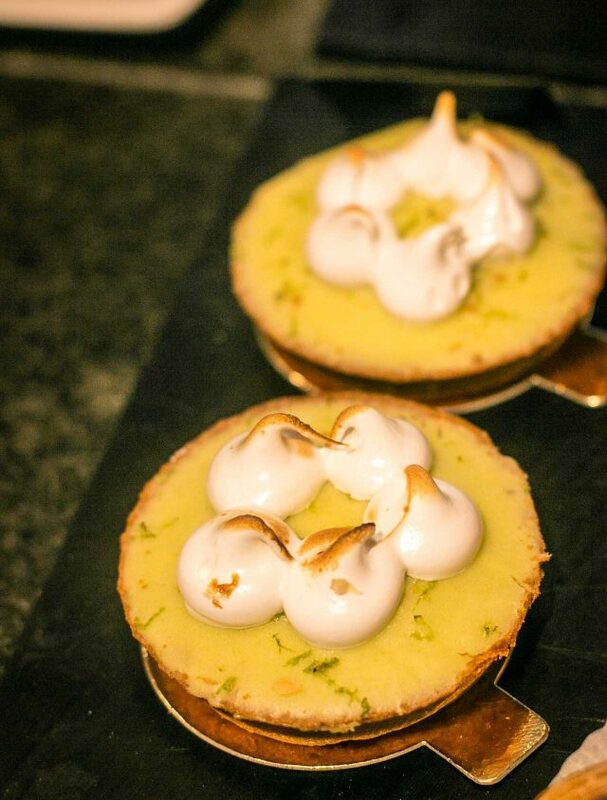 On our list for the next (eventual) trip to Paris! Also–made your whole wheat croissant recipe from 2013 this weekend, and they were absolutely perfect! Thanks for a great recipe. We’ll go there on our next (eventual) trip to Paris! Also–made your whole wheat croissant recipe from 2013 this weekend, and they were absolutely perfect! Thanks for a great recipe. These breads look great! 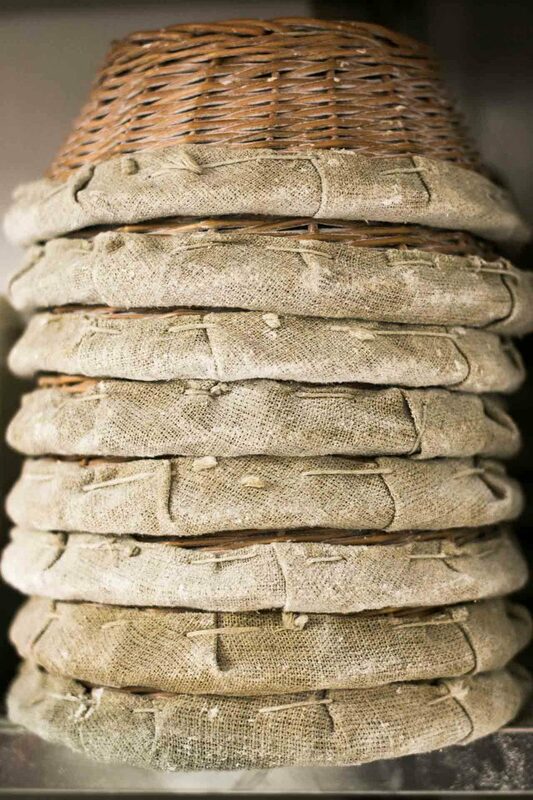 Since M. Brault uses such a large quantity of whole flours and grains, I was wondering if you knew whether the loaves go through a multi-day process of soakers and sponges, or if it is possible to make the loaves come out well without a long pre-fermentation process? Thanks! The key ingredient in good bread is time! 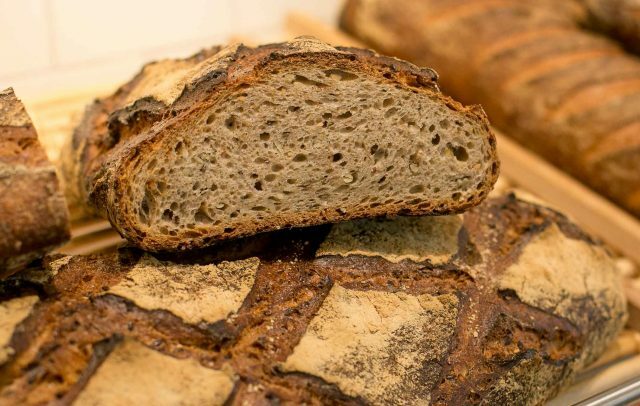 Sourdough and long proofing are there for taste, upkeep and digestability. Rush it and it may look good but will be totally disapointing! oh my….. This must be my most ever, ever loved topic, David. And to top my happiness; only a short time ago when we were up Montmartre during the week (very rarely happens), I saw a looooong line of customers waiting and the beautifully ‘tanned’ breads – and as it was sort of lunchtime – I went in and bought baguettes… They were as good as bread gets and I was thrilled to find not a tired but a cheerful smile when I asked for ‘two baguettes, bien bronzées’ (well cooked). What a beauty they were – and now I can look at it whenever I want and get those heavenly pictures too. Thank You – you’re über-wonderful and generous. You’re right about the friendliness and ‘accommodation’ of our wishes. It took a bit time in my bakery but then everybody knew all about my wishes including ‘you don’t want it sliced, that’s right? !’ – I think they are trained to ALWAYS ask, even after more than eight years of our custom. They put a loaf aside when I’m in a hurry and just ask for ‘my usual’ and find it upon my return, nicely packed in a golden bag, smelling of heaven…. I just need a tartine now, with lovely butter, cheese & charcuterie! Yum Yum at last some bread in Paris with grains on the inside too! Let me at em! Beautiful bread! I order all my flour from Parma, Italy (Molino Grassi), having great delicious results. It’s well worth the price, and I can tolerate the gluten – as opposed to USA flour which seems to be subjected to Roundup (pesticide). It is true, good flour, milled properly is more tolerated than mass flour mills for those who have issues with gluten. J’ai l’eau a la bouche en bon français gourmand. Quel délice pour les yeux et papilles. Il faut le mettre dans le carnet des “bons endroit pour y il mange. Good luck & bon apetit! I have successfully used Julia Child’s method: Mastering the Art of French Cooking II (1970), pp. 53-74. Cooking good bread in a home oven is challenging. 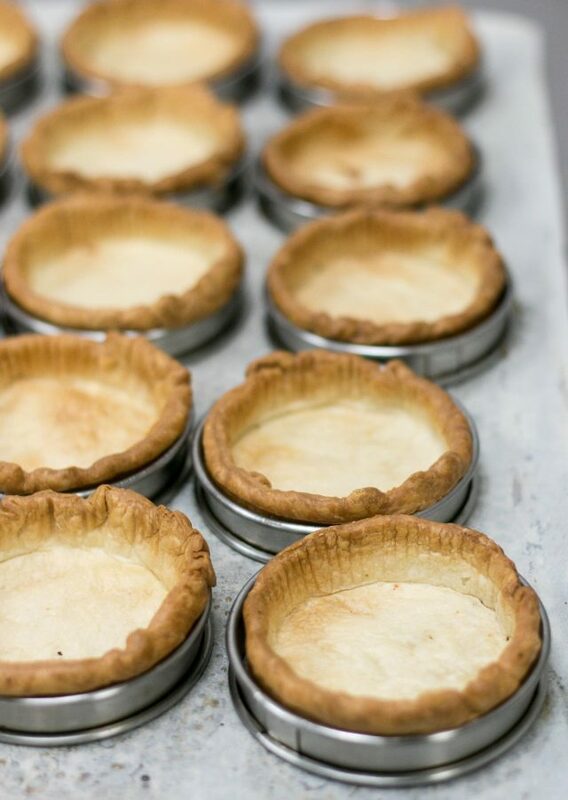 You need high temperature and a baking stone, then steam to produce a shining crust. You’ll find instructions on internet. You also need bread flour not just AP. Good luck! Yes, I agree. That’s one of the reasons I don’t make my own bread: it’s very hard to get the same results at home. Still, there are people that do and they like to make their own bread. Peter Reinhart has written some great books on making bread, which you might want to check out. merci François; ça explique tout…. J’ADORE une belle croute bien cuite! 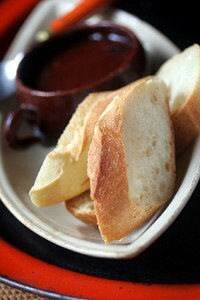 Tartine Bread by Chad Robertson has a good description/method for making really good yeast and bread at home. It turns out really good. I am still working to get mine just right. Delicious reading, thank you and I was so excited and gratified to read that he does Kouign Amanns. Hopefully his theory of bread baking extends to well carmelized bottoms of the KA’s. Will definitely try on next trip. Were just in Paris in early June and in Montmartre, sorry I missed this special bakery. I want to live with you, a basket in the kitchen where I shall curl up into sleep, I will wash your dishes, be quiet as a mouse, nibble on cheese crumbs. Be forever grateful of the experience. I type, I could help you with your book. You have a most excellent life, and I look forward to your next book. If you come to Butte County to visit Dave Miller, or some of the bread folk in Chico, I offer a spot to stay in the hills. 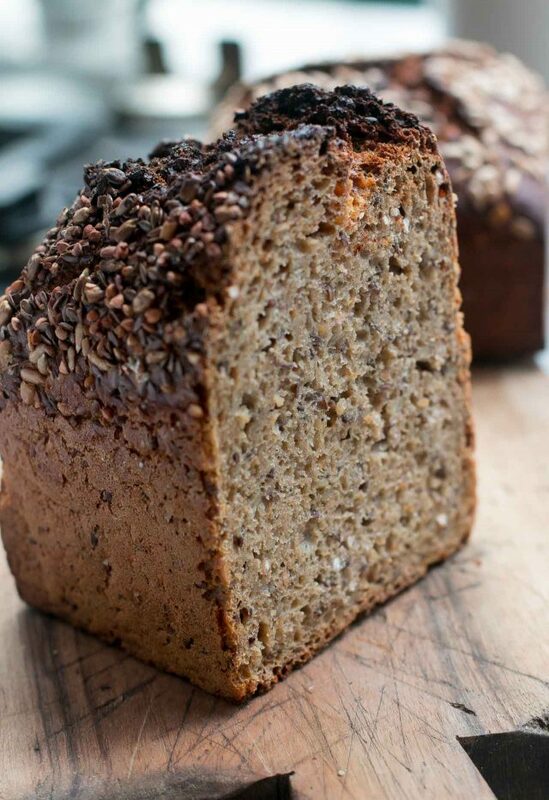 Buckwheat contains no gluten, so wouldn’t bread made only with buckwheat be very heavy? what is that wonderful butter they use? I wonder if we can get it here in the States. Oh the bread in Paris! But the sandwiches are so dry and tasteless…Why do they not use some wonderful aiolis or something? I’m one of Panifica’s lucky neighbors (just across the boulevard in the 18th). Best bread and pastries for blocks around, by far. An amazing place, to be sure. David, next time you are in the neighborhood, our favorite place for coffee —KB— is at the (west) end of the block. Here’s a wonderful video (in French) of Panifica and what one person thinks of the breads. Anyone know where I can get a knife like that?? I think the knife is a bit of a ‘joke’; it looks like one of those truly giant Swiss ‘pocket’ knives (Victorinox) you see in shop windows in our lovely tourist places. And yes, since you ask, I think you can actually buy them too although I have never, up to now, seen anybody using one. And, of course, the ones I’m talking about are those with an array of blades & tools & corkscrew which obviously is not what you want…. I would suggest you ask Mr Kaplan directly. I’m sure he will be happy to reply. Darn, I want that Kamut bread so bad. 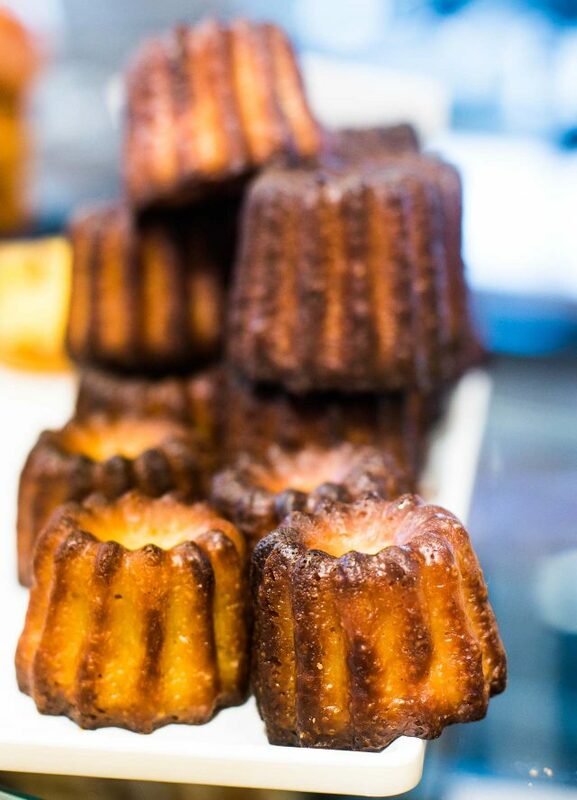 We can’t wait to come visit François bakery real soon. Totally not in our neighborhood, totally worth to bus ride. Suzette, wait till you try toasting a thin slice of the Norwegian loaf. It is already baked pretty dark, and you would think that toasting it would burn the dark outer crust. Au contraire, it just intensifies the flavor. It begins a little slowly but what he has to share is fascinating! Enjoy! Oh my, that bread looks amazing and makes me wish it were in my neighborhood. One comment on the eggs, though. As a board-certified poultry veterinarian, I can tell you the “we don’t wash off the cuticle so room temp is ok for eggs” is a complete myth. If I had one euro for every time one of my French clients tells me that, I could buy Francois’ entire stock of baguettes. Salmonella crosses into the eggshell within 90 seconds of being laid by the hen because the egg and her manure come out of the same hole. The only way to prevent the salmonella from multiplying to levels high enough to make you sick is to refrigerate the eggs as quickly as possible and keep them refrigerated. Eggshells are porous by design so that the embryo can breath. Washing or not washing doesn’t change that. So French eggs are yummy because they feed the hens different grains but they are best for you if you refrigerate them. @Athens francophile; now I’m really confused… (and I believe you): Finally I thought I had an explanation why the French eggs are not refrigerated and now you ‘spoil the fun’ with your post… In any case, I will continue to put my ‘bio eggs’ in the fridge, I always did and will continue to do so – and gosh, I can get fabulous organic eggs here. Aroma of bakery is the best one.. I love eating cakes and pastries.. I am loving it..
Kouign amann has become my favorite thing bar none to eat. ever. Found a place in Los Angeles that makes them and when I was in Paris this past fall I found one there too. Excellent post. Nothing beats good bread. A Maison Kayser opened a few blocks from me. Now, daily baguettes. Life changing.